We have a pecan tree in the back yard that is producing like crazy this year, unfortunately the squirrels are enjoying more of them than we are but it still put me in the mood to make some pecan yummies even though I actually had a to buy a bag of nuts at the store. There are only a few ingredients needed for this super simple recipe and the kids really enjoyed helping me measure them out and mix everything together. Of course they enjoyed sampling the cinnamon pecans even more so it was difficult to get them to wait until they were completely cooled. 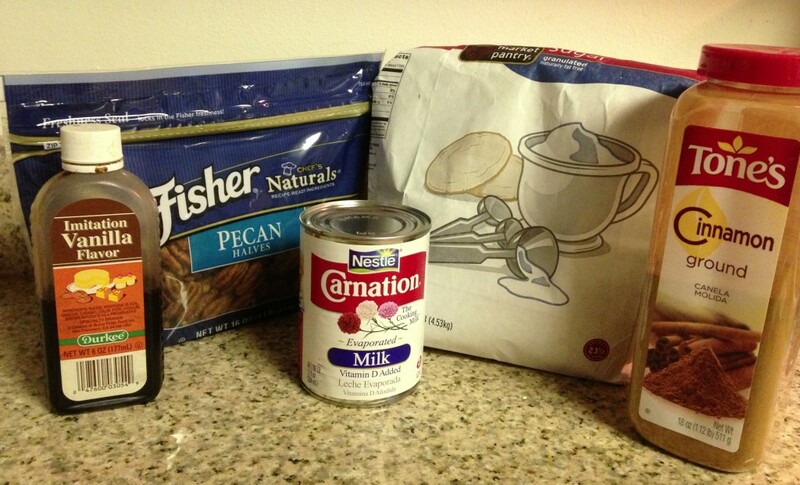 Mix all ingredients except pecans in a pan and heat on medium, stirring often until the consistency of syrup. Pour in pecan halves and turn heat to low. 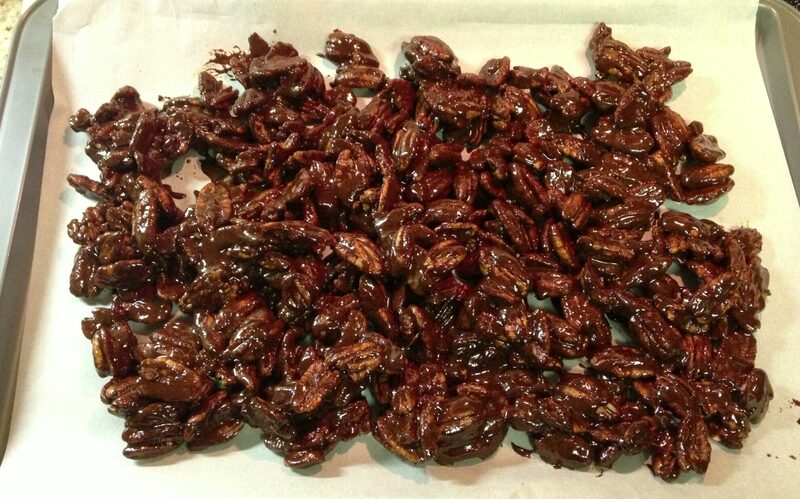 Mix well until all pecans are well coated. Place pecans on a cookie sheet lined with parchment or wax paper and allow to cool. Serve once the coating has hardened completely. What is the amount of evaporated milk used in this recipe? It just says 1/4 evaporated milk. Is it 1/4 cup? Thanks for clarifying it for me!